Whilst we are waiting for the new engine to be delivered, we decided to tour Brittany as we will not spend as much time in each place once the engine is fitted. Over the last two weekends, we hired a car from Avis at the airport and travelled around Brittany. We have managed to visit a number of places but our favourites have been Quimper, Benodet, Auray, Concarneau, La Trinite-sur-mer, Pont-Aven, Carnac and the Gulf of Morbihan in general. We will be putting photos and more information on the page “Places we have visited“. 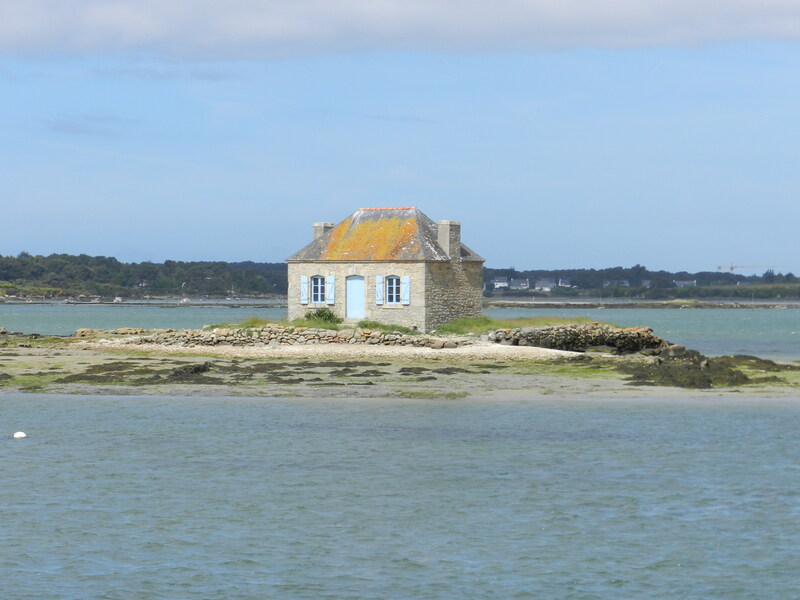 We eventually found the oyster farmer’s cottage at Saint-Cado on the river Etel. This probably epitomises Brittany more than any other photograph. 1 Response to Brittany tour…by car!